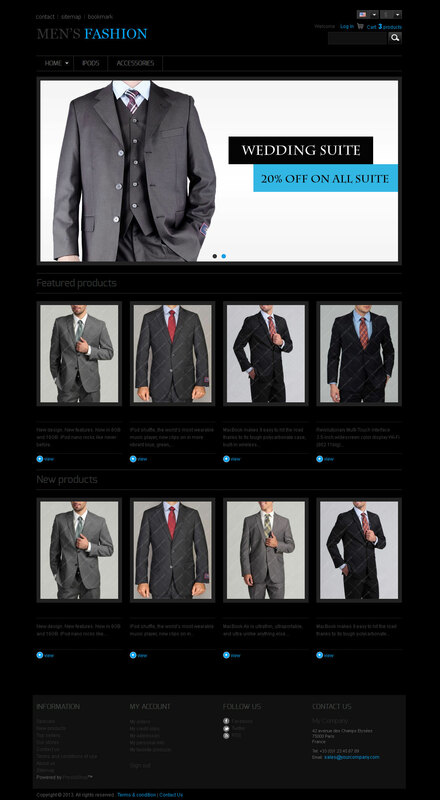 Sky Theme (1 column in home page and 2 columns in next pages) responsive design is suitable for sports wears, shoes, mobile, electronics, clothes items online store. Product catalog is in top menu. Smack Glass 1.0 is suitable for sun glasses store . This theme comes with front image slider. It is user friendly in different device , mobile, tablets, laptops and personal computer. 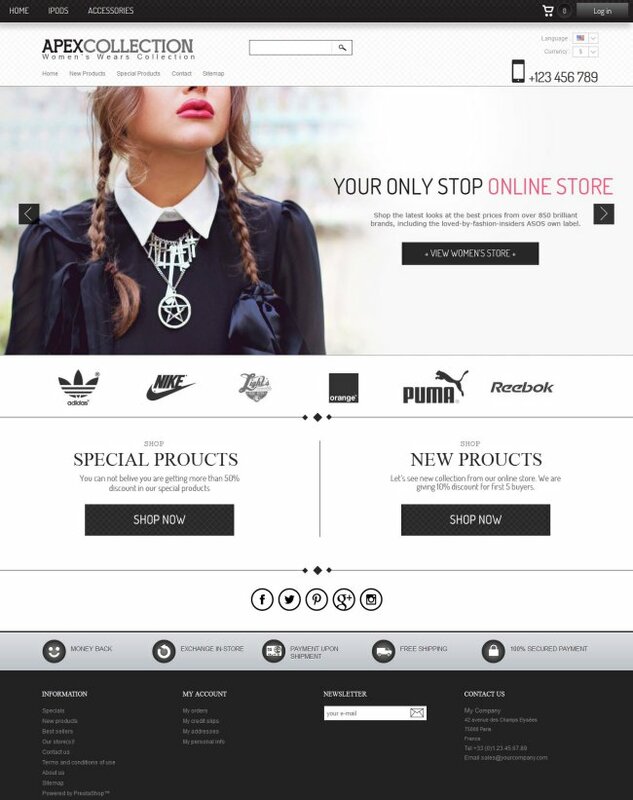 This responsive prestashop themes is in black and white color and specially suitable for fashion wear. This Jewelry Store theme is managed with front banner with sticky top bar withnew and special product advertisement.